Promote Worker & Pedestrian Safety! 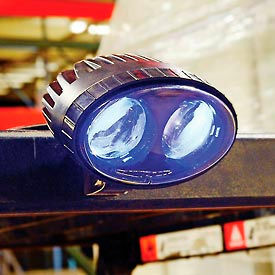 When the LED Safety Warning Spotlight assembly is mounted to a forklift or other moving vehicle, it projects bright blue spot beam pattern on the floor surface. Since multiple lights can be mounted onto a single fork lift truck, the warning light spots can be seen behind or in front of the forklift. The bright light spot on the floor is clearly visible to pedestrians, machines and vehicles in the area, regardless of the ambient noise, alerting them to the nearby presence of the forklift. Traditional audio back up alarms can blend into ambient noise in the building and pedestrians can become immune to the audio warning. Twin 5 watt solid-state, shock-resistant, Cree LED (Light Emitting Diode) lights yielding 600 lumens are enclosed in an IP68 rated housing with a UV-resistant PMMA polycarbonate lens. The LED forklift safety light uses the vehicle electrical power to operate and can be installed on the front and/or rear of any forklift, sweeper, AGV or industrial vehicle (configured for 10 Volt to 80 Volt DC input range, with reverse voltage protection). 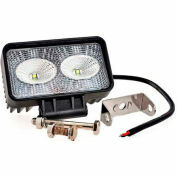 The 50,000 hour service life LED's are mounted in a rugged die-cast aluminum housing for long life. Working environment temperature is -49 to 185° F. Universal stainless steel swivel mounting bracket allows for easy installation. 1 Year Limited Warranty. 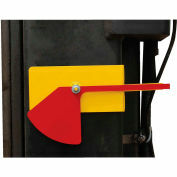 THIS WAS PURCHASE AS A SAFETY ITEM TO BE MOUNTED ON OUR LIFT TRUCKS. THEY'RE VERY BRIGHT AND APPEARS TO BE SERVING IT'S PURPOSE. Your review: Customer Service is always a pleasure to work with. Your review: We installed these and have had excellent results! 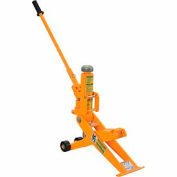 Your review: THIS WAS PURCHASE AS A SAFETY ITEM TO BE MOUNTED ON OUR LIFT TRUCKS. THEY'RE VERY BRIGHT AND APPEARS TO BE SERVING IT'S PURPOSE. Your review: We purchased these for front/rear visibility in a Warehouse that has many blind corners. 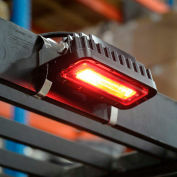 Your review: We have been using these lights for years and show up great on the warehouse floor. Your review: Purchased these safety lights for use in an industrial business on forklifts. 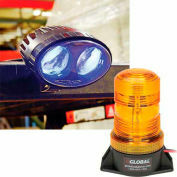 They are an excellent choice- high visibility and an excellent price in comparison to other similar warning lights. Your review: We have made several safety improvements over the years that employees see as another barrier to their job. However, this improvement has had the reverse effect. Employees comment on how much safety they feel with the blue lights on the forklifts. If the forklift operator does not sound their horn, they still no that they are present due to the blue light. Your review: Like I said, these lights work exactly how they should on our forklifts. The blue light shines bright on the floor in both incandescent and LED overhead lighting. 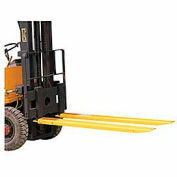 They are especially helpful in our plant because we have electric forklifts, and they are hard to hear coming with the surrounding factory noise. 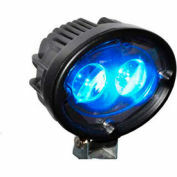 Your review: I had these blue lights intalled on our fork lifts and I am very happy with them. I feel as though the folks are more aware of the vehicle traffic in the warehouse now as they are noticing the blue lights on the floor as they move around. Your review: A must have in the warehouse. Great addition to any lift to promote the maximum safety. Your review: This warning light works very well. It shines on the floor ahead of or behind the lift. When a pedestrian sees this light on the floor it make them stop and see where the light is coming from. #RP1988717 is not the brightest of this type of light that is sold. It is plenty sufficient though. An excellent value. Your review: Very good light to try to warn pedestrians of a forklift coming. Shines bright blue oval on floors. This model is not the brightest out there but it is plenty bright to do the job. 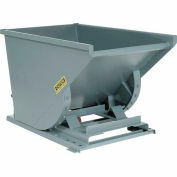 Your review: We tested this product on one of our fork trucks and the very first day it saved ME! An electric fork truck that is very quiet,I did not hear or see but, that bright blue beam was 15' ahead of it around a blind corner! I almost stepped in front of the truck. We have installed forward AND rear facing light systems to maximize the safety benefit on our 8 fork and roll clamp trucks at our commercial printing plant. So far we have been very pleased with them. It is a great safety feature for the price! Your review: Alerts pedestrian about approaching forklift in a loud area. 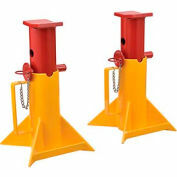 Your review: These are a great safety item for your forklift. 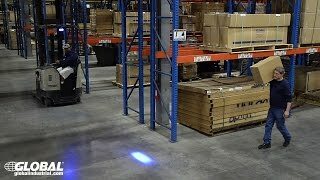 If you have deep aisles that you have to back out of or even backing away from a truck after loading a pallet this blue light is a great visual warning that the forklift is in reverse gear either moving or about to move. So many times you can hear the lift but not sure where it is coming from or there is multiple lifts in the area, this will allow you to pin point which lift is backing up. Your review: The point of the light is to alert pedestrians of on coming lifts. Well I can see this when I drive past the facility, safe to say it works. 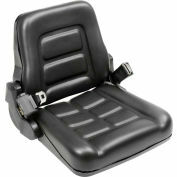 Your review: These work great, we put one on the Front and back of our forklifts for safety. 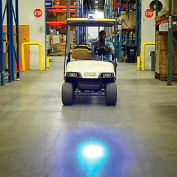 When coming out of one of our aisles, you can see the blue light on the floor prior to the forklift coming out. We made up some signs and one minute lesson on the safety blue lights. Just had our safety inspection and passed with flying colors. Your review: Good product at a reasonable price. Your review: This light was priced right and works as designed. The build quality is high and seems to be very durable. Can you provide a better price if purchasing 75+ blue lights? Also please provide warranty details for this product. Can you provide a IP-68 certification for the forklift spotter light ?